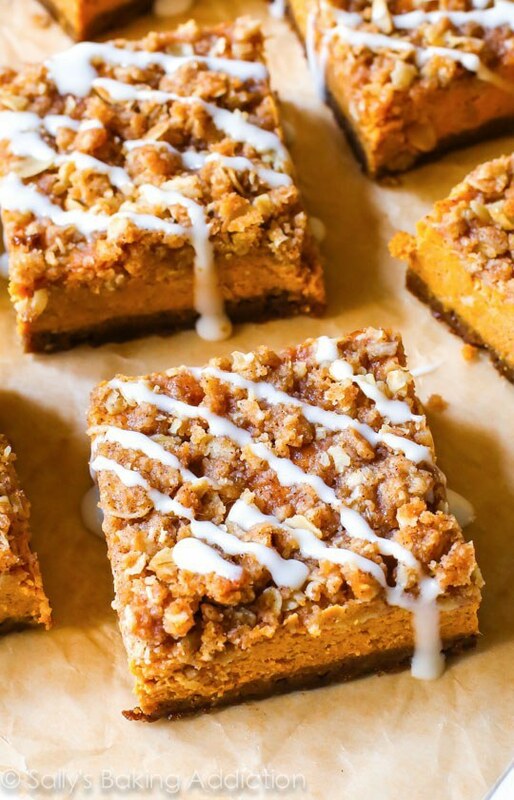 Break out the long scarves, brown boots, and pumpkin spice latte but don't forget to try these pumpkin recipes to get your fall fix. 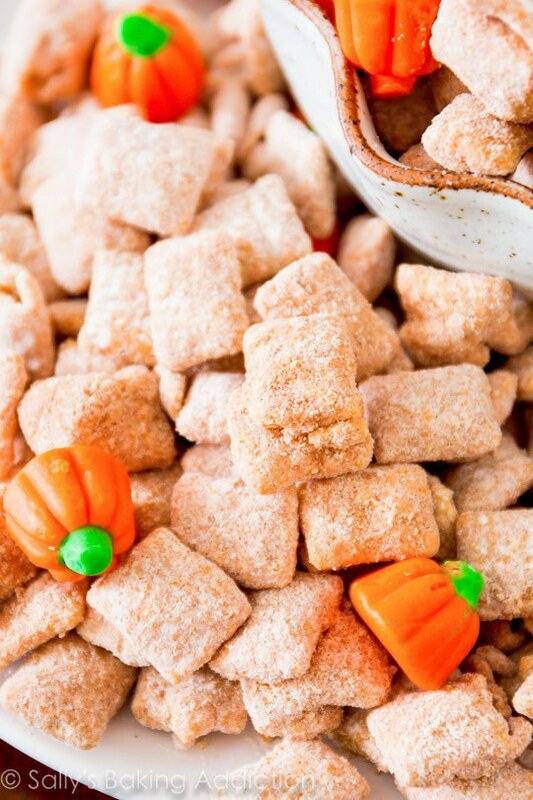 Now that it's finally fall, everyone's favorite food is back! 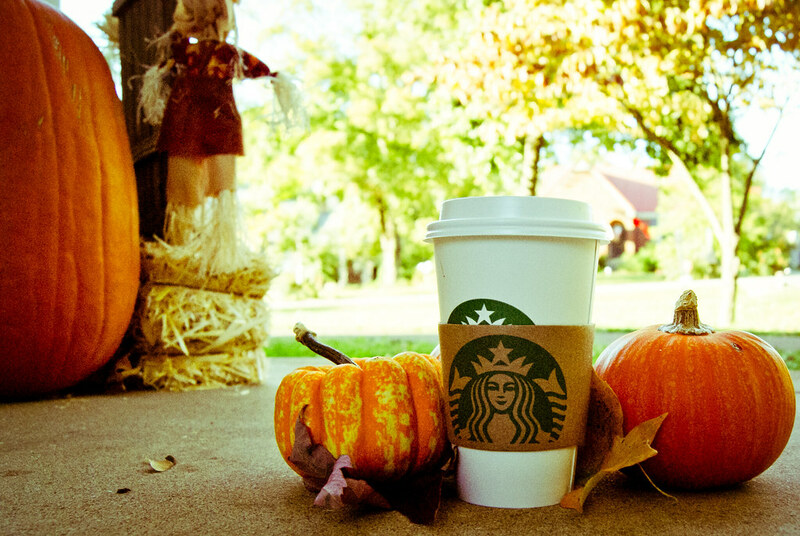 For those of us who love pumpkin but get tired of drinking a pumpkin spice latte, here are a few ways to mix it up while still getting your daily pumpkin fix. This combination may seem strange which may be why I have yet to give it a try. However, when three of my favorite things: pumpkin, chocolate, and pretzels are put together, I'm more than willing to give it a try. For those of you how haven't heard of Sally's Baking Addiction, please, go check it out. Her recipes are easy to follow, they work, and, did I mention that they taste as good or better than they look? These bars are one of my personal favorite and a must make item of the season. 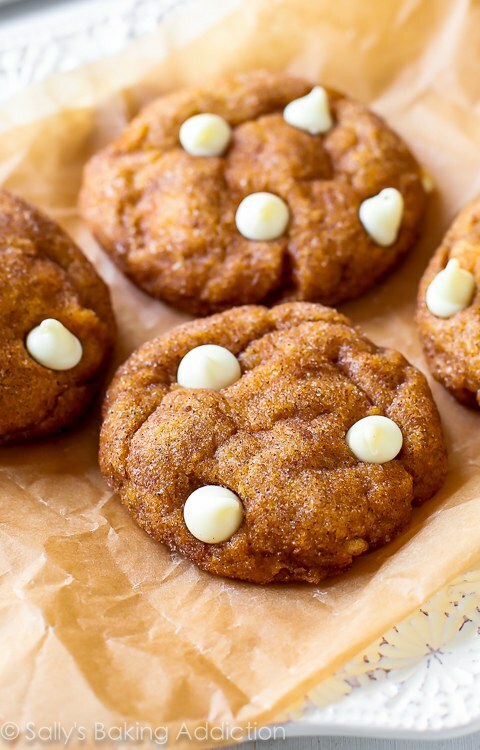 It's a cookie mixed with pumpkin and chocolate, it doesn't get better than that. Just try it. This one may be slightly out there but if Sally created it then it has to be good. Or if that isn't enough reason to, this snack food just looks festive. 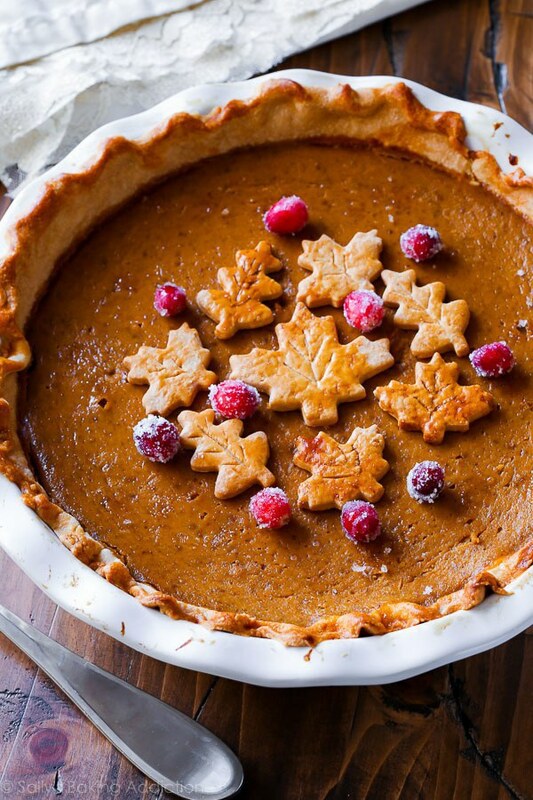 Even though there are countless other pumpkin recipes that you could make to survive the pumpkin season and get your pumpkin fix, a pumpkin pie is a staple and can't be forgotten. This pumpkin pie recipe combined with Sally's famous crust may just make the perfect pumpkin pie. So, now that you've realized that there are more ways to use pumpkin than simply in a Starbucks latte and you're stomach is rumbling, it's time to get baking! A special thank you to Sally from Sally's Baking Addiction for creating or recommending these pumpkin must-have desserts.